I spend a few hours of the week in the company of some fairly nerdy college girls. They are also quite Internet-savvy, as nerdy college girls often are (I should know), so they are probably reading this. Hello, my nerdy friends! Anyway, they are often chatting away while I try to get some work done around the office and I catch snippets of their conversations about who Tweeted so-and-so while they were in class and what they were writing about for their Victorian Science Fiction class and the differences between costumed and non-costumed people at Anime Conventions. 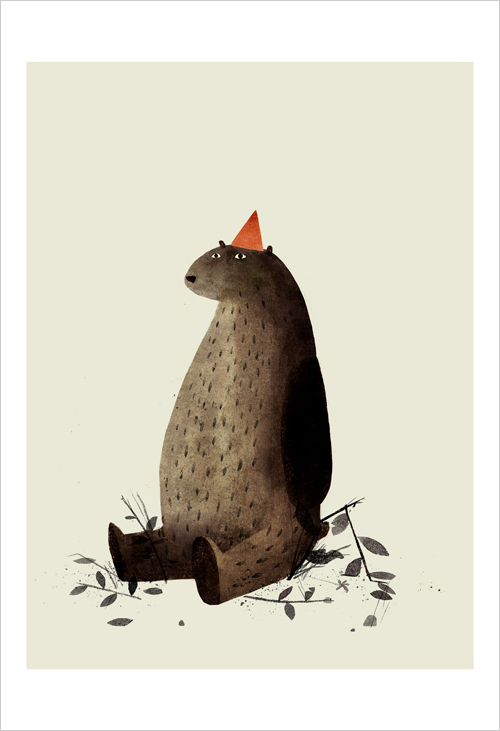 Apparently, this popular-in-its-own-right picturebook – Jon Klassen’s I Want My Hat Back– is a minor league internet meme. I’m glad everyone likes Hunger Games. I’m glad Harry Potter is a big success. But I especially like it when children’s literature hits the counterculture. When it shows up on Tumblr and the nerdy college girls of the world think it is cool. I read this book for Children’s Literature in the fall. I disliked it when I read it because I didn’t see the point. Then, during a Skype session with my classmates, I realized the big “event” that occurs in the book. Then I really liked it.